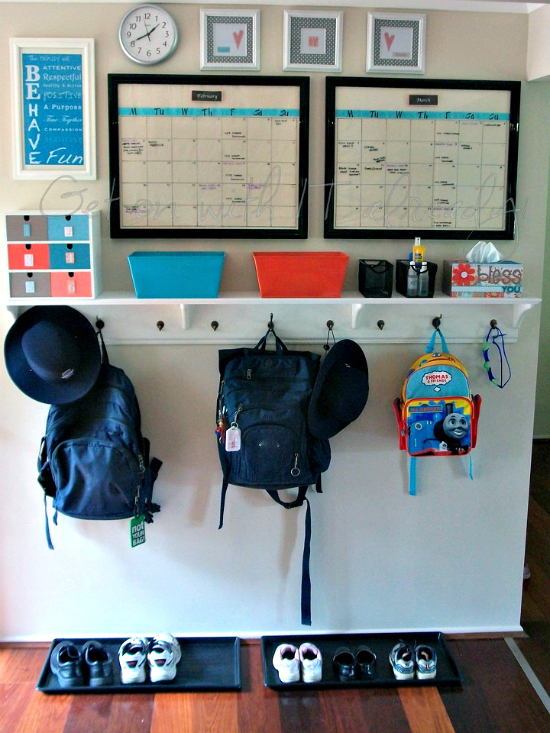 As we enter our first back to school, I have been searching for a way to get our house a little more school ready. 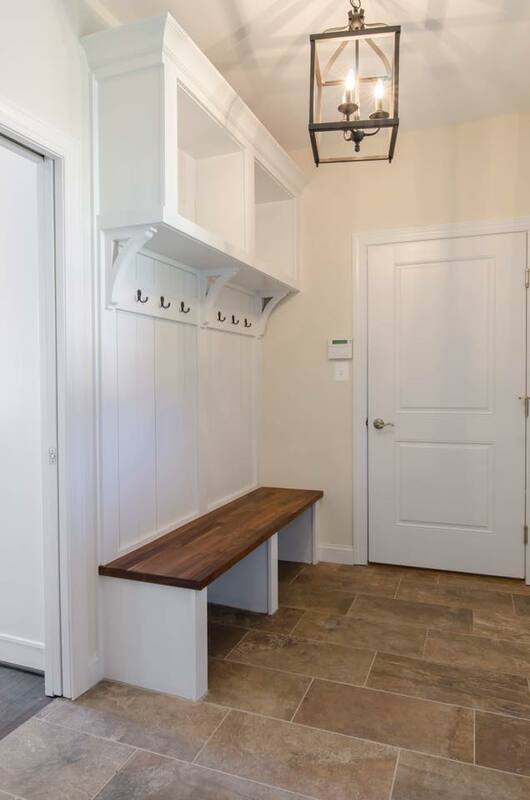 I’d love to have a mudroom space but for now, I’ll have to settle for either using part of the playroom, the garage, or hallway. 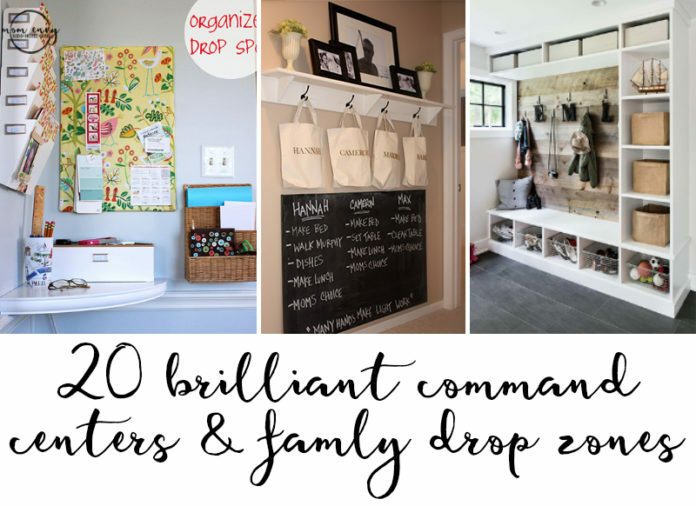 I took to Pinterest to find inspiring command center and drop zone spaces to get us organized. Here are my favorites that I found! This dropzone is channeling it’s inner Chip & Joanna. There’s so much room for shoes, necessities, and toys. Plus, it has hooks for back packs, bags, and purses. Be prepared to drool over the pictures from the rest of the house, it’s unbelievable. This is the ultimate custom command center cabinet. 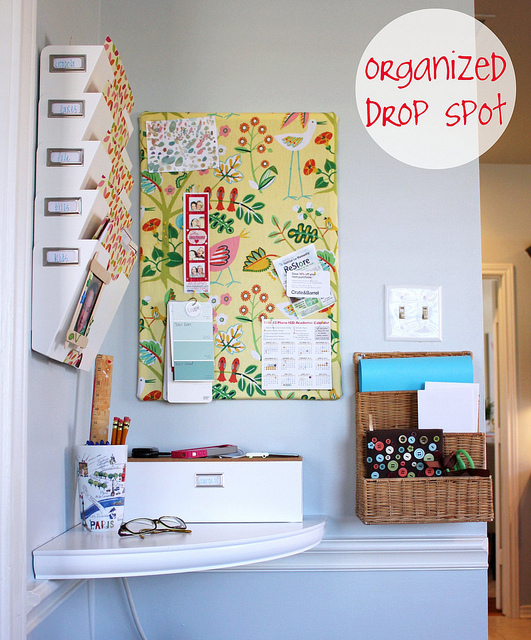 I love the hidden space for mail and the whiteboard. 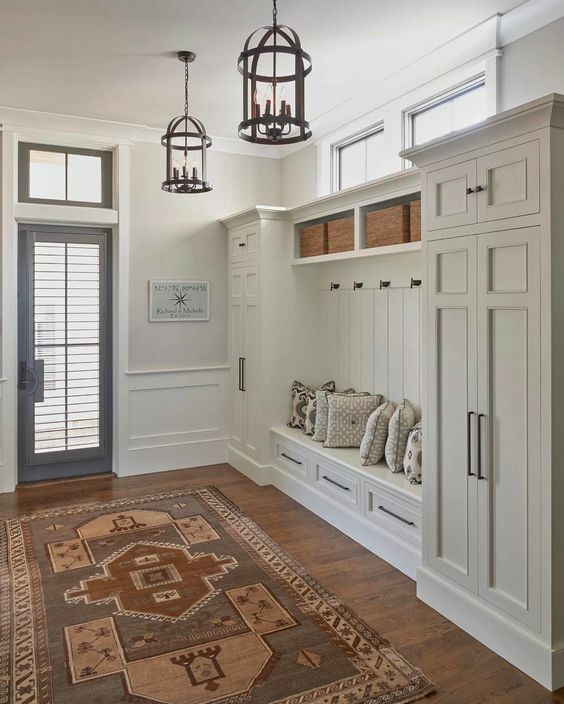 I prefer my clutter to be hidden so this would work so well for us if we had the room for a custom cabinet like this. 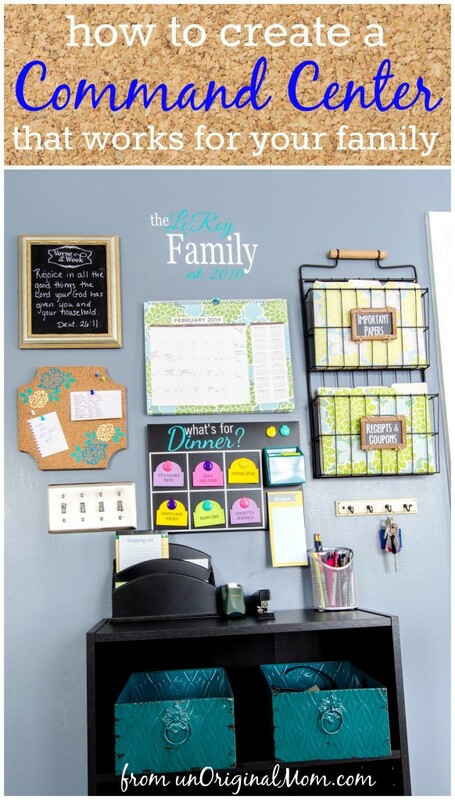 This is such an inexpensive way to make a family command center. 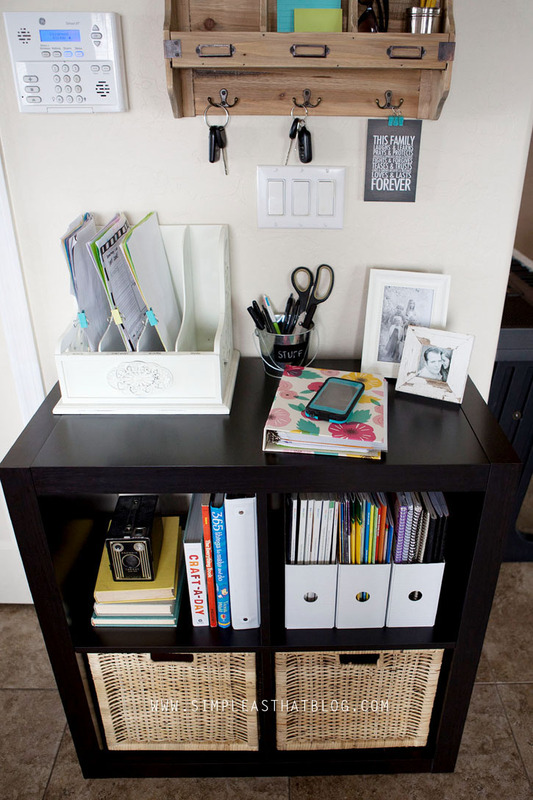 Hanging the shelf above the bottom bookshelf gives small storage while making use of the vertical storage. 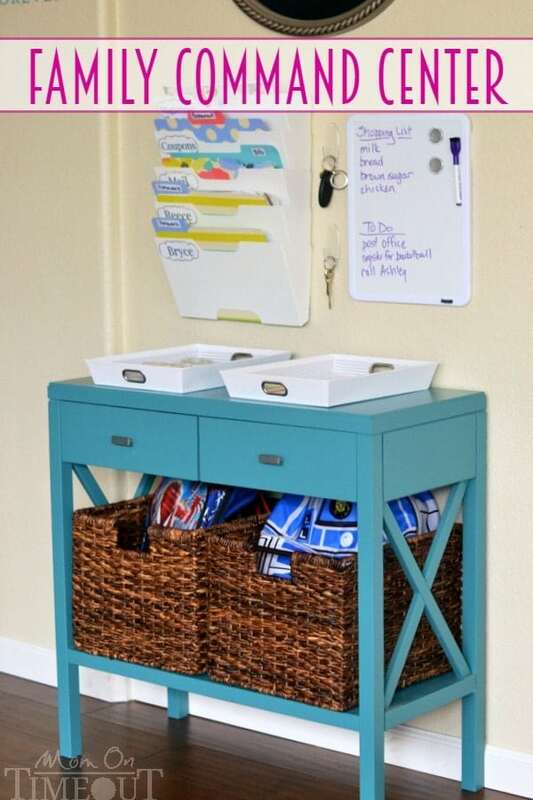 The baskets for the mail, budget, kids, receipts, and coupons make organizing easy. 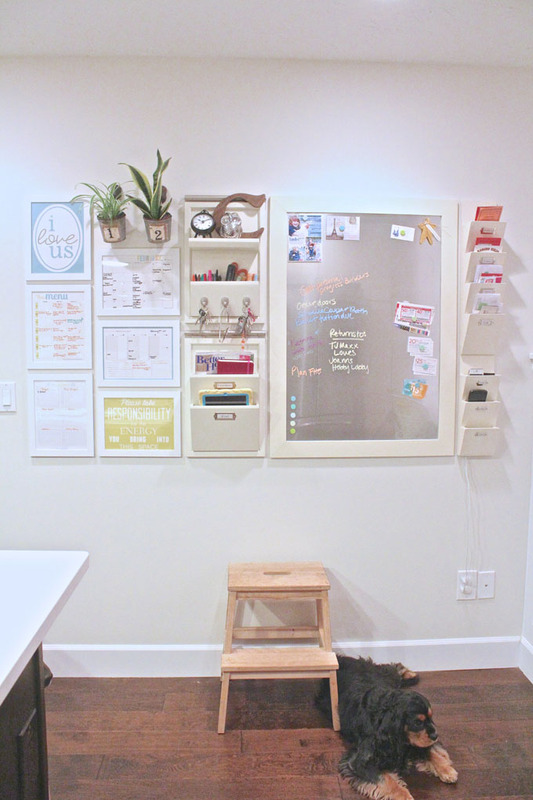 This command center can be replicated on any open wall in the house. 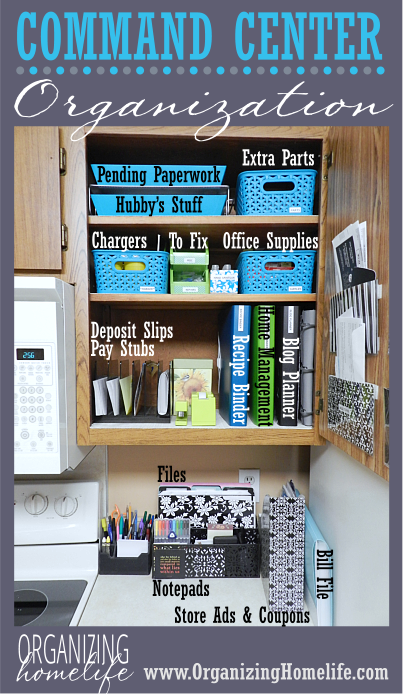 It would be great near the garage or front door so that you can easily put the mail away. 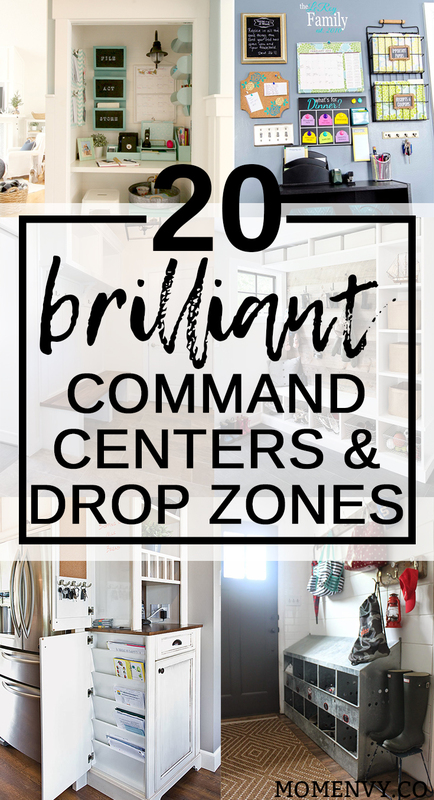 While I think we can all agree you can never have enough closets, if you have enough that you can trade one in for a command center, go for it. This space is so inspiring – the pops of turquoise make it so much fun. My absolute favorite part is the small filing cabinet. I know for us, remembering to file papers away can be a struggle. If it was in a central location, it would help keep us on track. 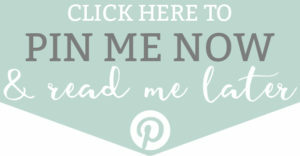 You have to check out her post to get the full details. 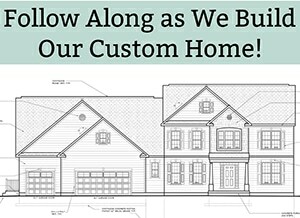 So this is a new builder in our area that I have been lusting over. It’s like Chip and Joanna moved to my area and started to build houses from scratch. This is one of their drop-off centers that they’ve created that is simple yet beautiful. Ten Oak Homes’ style is impeccable. When we looked into builders, they were by far our top choice. 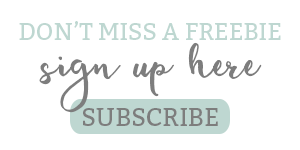 Check out their site and you can see why I am in love. 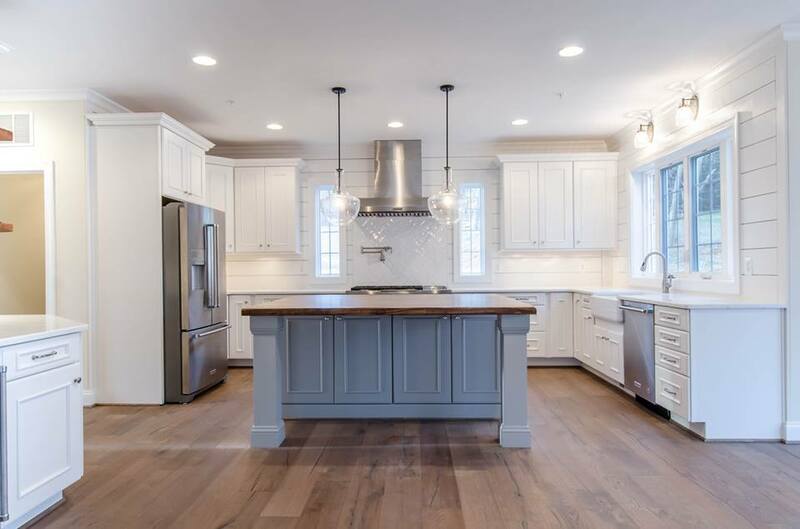 I mean…look at this kitchen. This entry has become functional with this smaller size drop zone. Although this is smaller than some of the other ones on our list, it’s a great size for at least two back packs, shoes, accessories, etc. 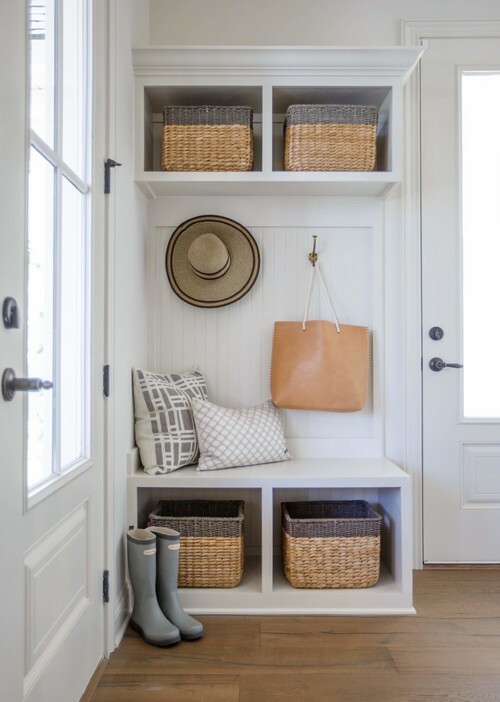 The baskets would be a great place to store lunchboxes or hats, gloves, and mittens. The Homes I have Made makes the most of this split foyer entry. The colorful bulletin board is my favorite part. 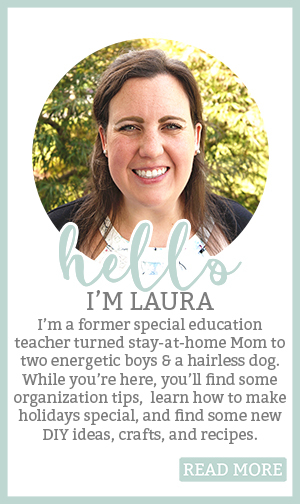 Make sure to read more about how she made her drop-off center here. 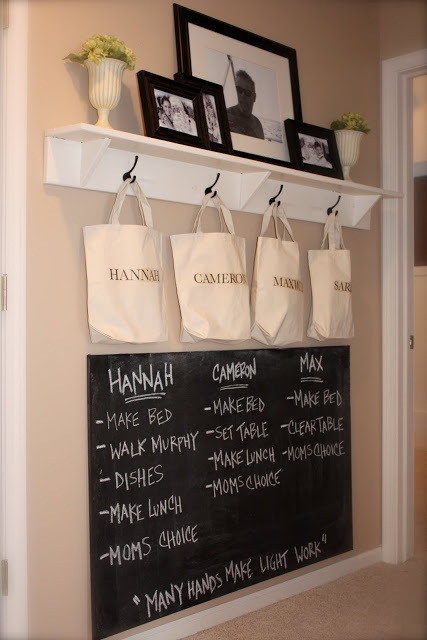 Look how adorable the chalkboard looks under the hooks. The pictures on the photo ledge are an added special touch. 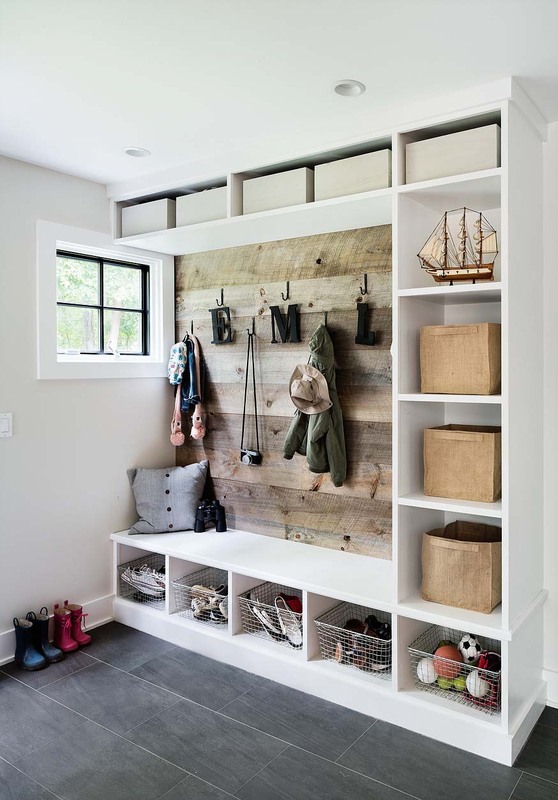 This mudroom is gorgeous. I love the closed store so that you can have a space to put back packs, papers, mail, etc., but not have to look at it. The bench is also extremely practical. For our house, I think this type of command center may work the best. We don’t have a mudroom area and our laundry room is barely big enough to do actual laundry. I love the white, bright organizers paired with a few decorative touches. These shoe trays are so smart. They’re a great way to keep the floor clean. 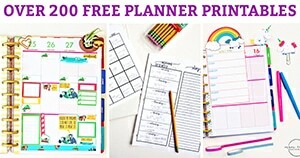 The two large calendars make keeping your schedule on track easy. I love how she color-coordinated everything down to the tissue box. This command center using the empty corner well. The curved shelf makes total use of hte empty space. The fabric on the bulletin board is so whimsical. 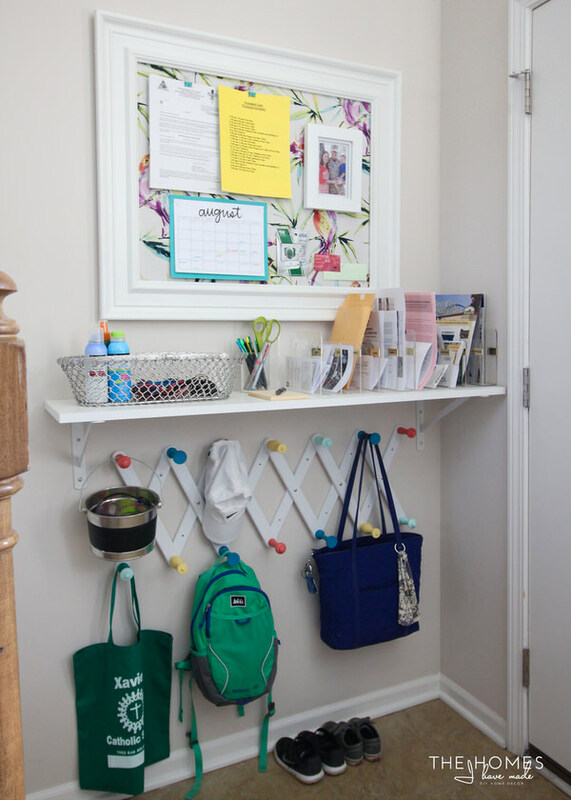 This cheery space is sure to help keep you organized in the morning. I love the basket for shoes under the bench. The hooks are made out of something really fun – you have to check it out to see how she made it herself. 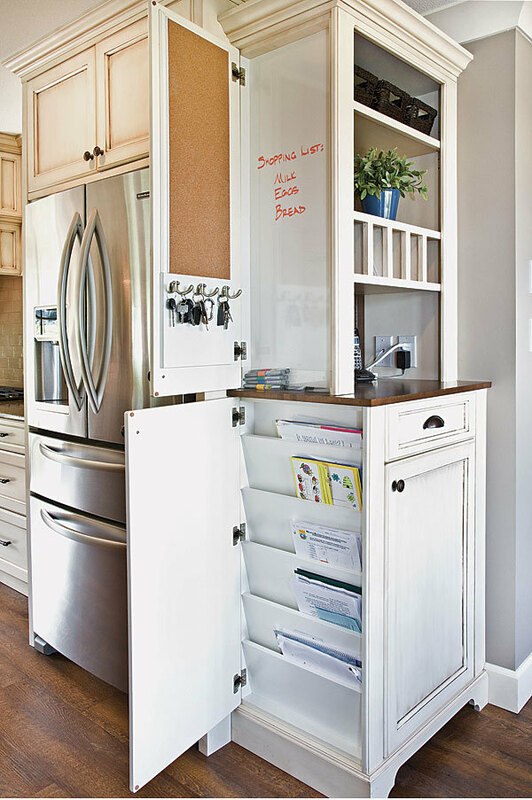 This is another perfect use of a cabinet. The to fix container would definitely beat where we keep our tiny toys to be fixed (our spot could really be improved upon). 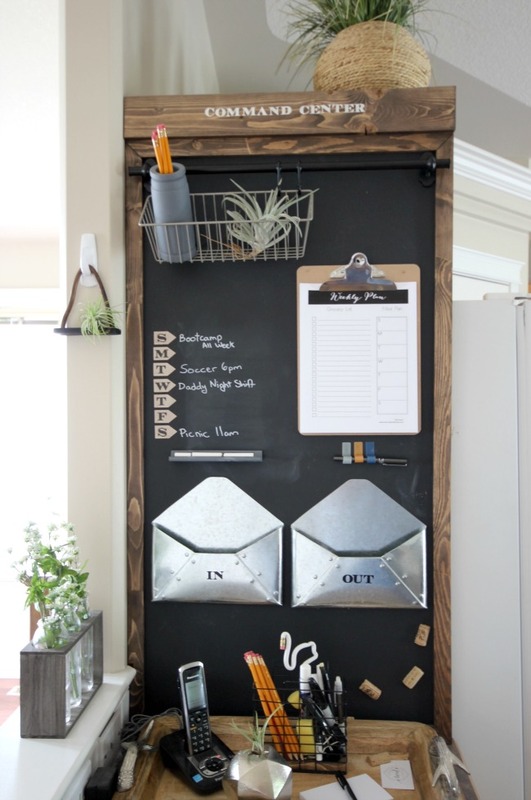 This industrial command center makes keeping track of your weekly schedule and meal plan easy. You could print our free menu planner and hang it on the clipboard. This drop off zone couldn’t be easier. 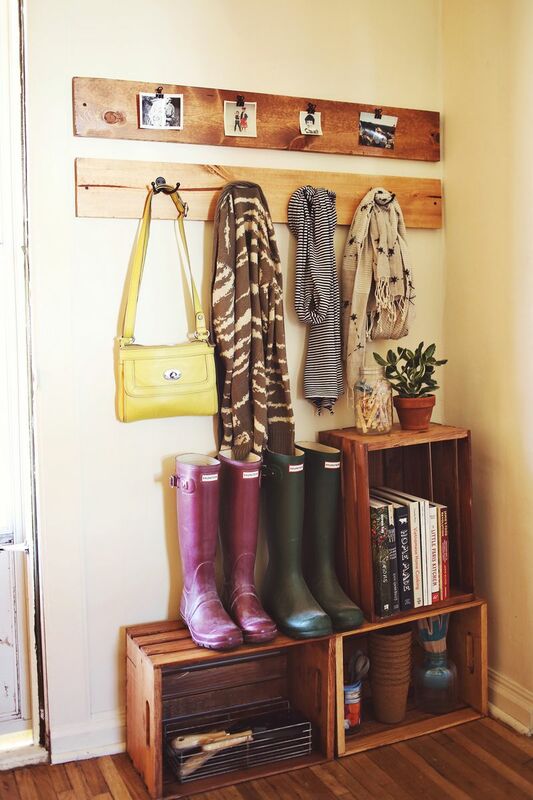 Stack a few crates and hang a set of hooks and you’re done! I love it’s simplicity. The added pictures at the top are a nice touch as well. 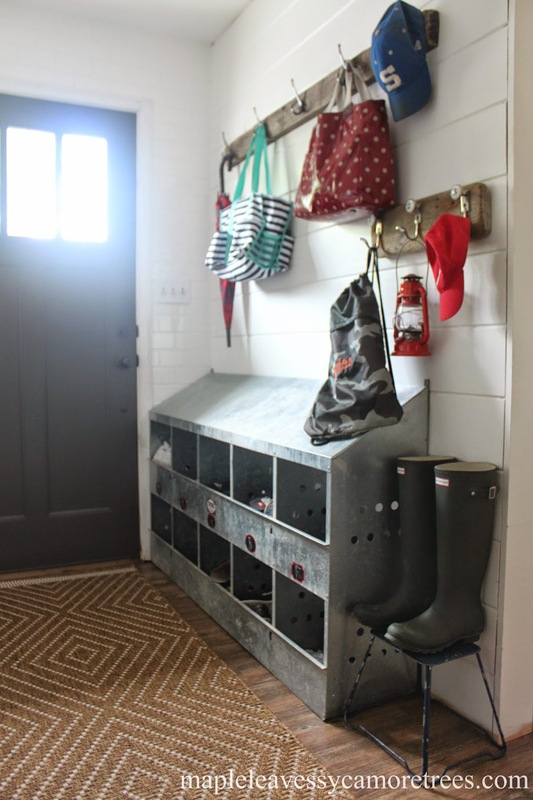 Vintage Chicken Nesting boxes make the perfect drop off spot for shoes, hats, gloves, etc. Could this be any cuter? This is a great example of giving something new life. Here’s another simple command center. The baskets for the back packs are so smart because sometimes backpacks can be really heavy and this will prevent wear and tear on the backpacks hang tag. How cute and helpful is the what’s for dinner board from the Unoriginal Mom? In addition, she used vinyl to help personalize the space. 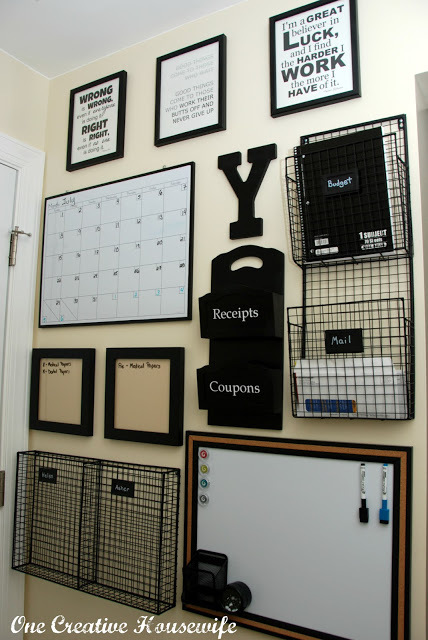 I love how easy and inexpensive this command center would be to replicate.